By 2028 the manufacturing industry in the United States will experience a skills gap of over 2 million jobs. The cause of this is threefold. First, as our population ages, “people aged 65 and older will out-number children under the age of five for the first time in history by 2020.” This is problematic because we don’t have the right mechanisms in place to effectively capture and disseminate the vital tribal knowledge that boomers have accumulated and there isn’t enough time to mentor or train the millennials to become proficient. Second, new and disruptive technologies are creating the need for everyone to increase their digital literacy. Lastly, fewer individuals are entering the blue-collar workforce. As a result, companies are looking for new ways to ensure their workforce is future ready. 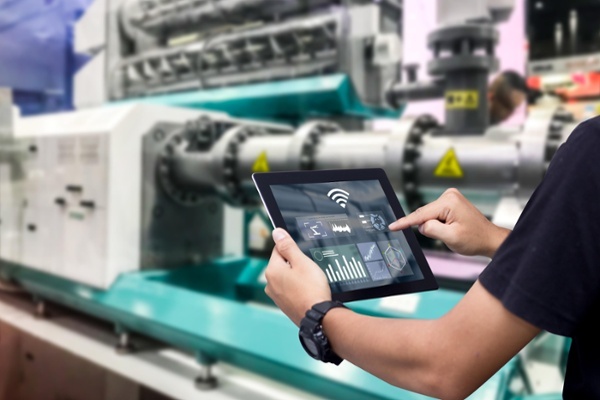 Imagine a world where, as you approached a machine, you’re able to have a conversation with it to find out its unique maintenance history, relevant IoT sensor data, and what to do next. At the same time, you can record your interactions with the machine and share any of its peculiarities with your broader organization. This world is made possible through the intelligent personal agent (IPA). The IPA acts as an interface between the worker and the machine to provide contextually relevant information. This helps workers be safer, more productive, and reduce time to proficiency when installing, maintaining and repairing large complex equipment. Using machine learning, the IPA curates instructions and displays them on any wearable or mobile device for workers. The result is on-the-job guidance customized to the individual. For example, the guidance delivered to a senior technician will be very different from that provided to a junior technician. Where the senior technician may receive nudges such as “replace fan motor housing”, the junior technician could receive step-by-step guidance for repairing a piece of equipment. Refine your user story. The first step in developing an IPA is building a proof-of-concept. For this, you’ll want to develop a comprehensive user story that will accurately capture the interaction between the user and the IPA. Define a tone. Along with refining your user story, you need to make sure your IPA communicates with the user in their language. For example, for blue-collar users, ensure your IPA is clear and concise. Be agile. As with any software development process, you want to make sure to remain flexible during development and testing to set a solid foundation and ensure success in subsequent iterations. Capture dialogue. Logging the dialogue between your IPA and users is a vital step in deepening your knowledge about how they interact with each other, when the user requires guidance, and what type of guidance they require. This also enables you to assess performance, analyze the interaction, and identify useful insights to implement in following iterations. Test, test, and test some more. With all disruptive technologies, there will inevitably be some resistance to change and barriers for adoption. You want to minimize these objections by eliminating challenges to implementation. To increase the rate of adoption of IPAs and other AI-powered tools it’s important to communicate to users that these tools are not intended to replace humans. Instead, they’re to be viewed as a complementary aid or partner that humans will be working alongside. The IPA will empower workers to reduce their time to proficiency, promote mastery of their craft, and, in turn, increase a worker’s autonomy. All humans are skilled, it’s the job of public and private sector companies to provide them with the right tools to be more productive and hone their uniquely human skills: curiosity, creativity, and judgment.